Match 3 & clear water lilies! 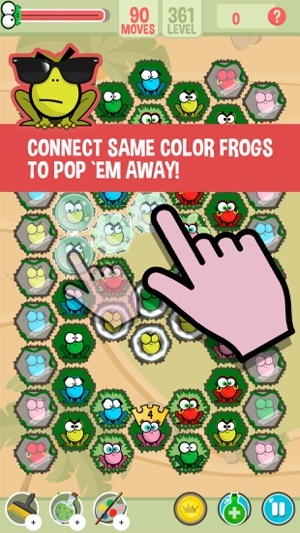 You've Never Popped and Matched Like This Before – The colorful ‘Pop Frogs’ arrives exclusively on the App Store. 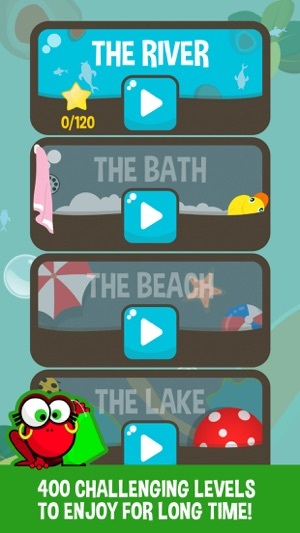 ‘Pop Frogs’ is a relaxing & extremely addictive Match-3 game for every age. 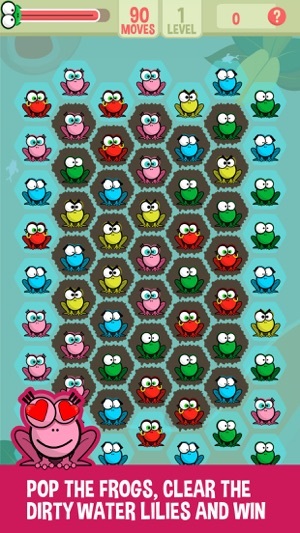 Connect 3 or more frogs of the same color to clear floors of dirty water lilies while you play with limited moves against time. Pop away a frog and the dirty leaf underneath him will disappear. Clear all the dirty water lilies and pass the level. The first version of the game presents 10 happy worlds with a total of 400 levels. • Simple one finger tap and swipe control. 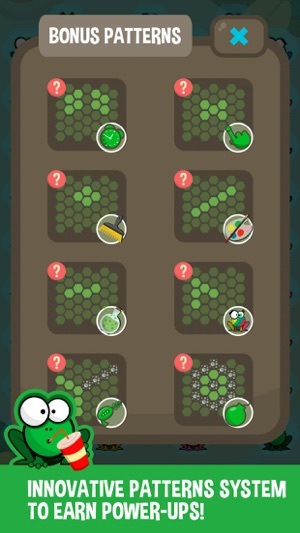 • Never seen before: Patterns based power-ups system. • Cheats! Second Chances & Skip Levels. 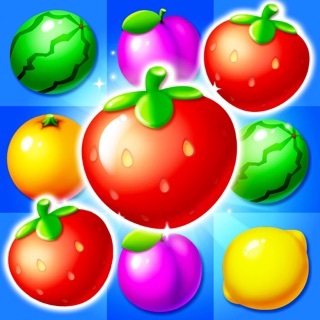 • 10 Worlds of total 400 Levels for many hours of game-play. • Various obstacles and challenges. • Relaxing joyful atmosphere with ambient nature sounds, calm graphics and 2 different music themes. 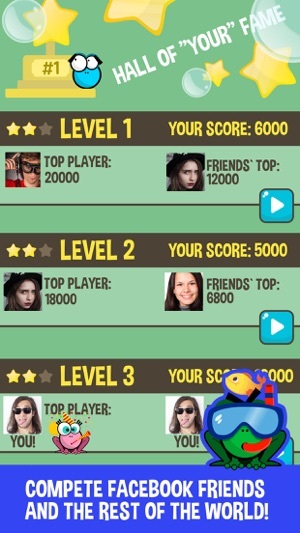 • Worldwide and friends` Leader-boards. "The more I play the more I love your game, it's a little gem that I'll keep on my device for a long time." 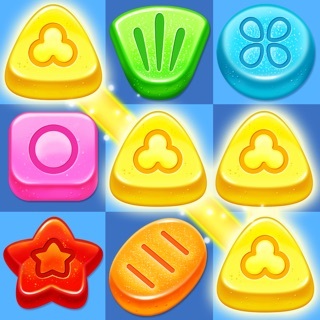 - Lionel P.
"Overall, it's a very fun, addicting app! Nice work!" Becky C.
"The game is superb!" Stavros F.